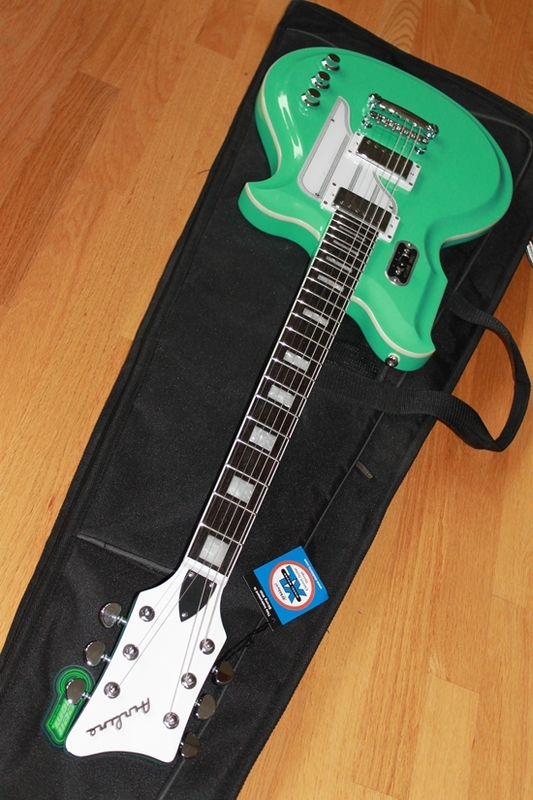 (optional hardshell case $99. VAT extra for UK and EU). 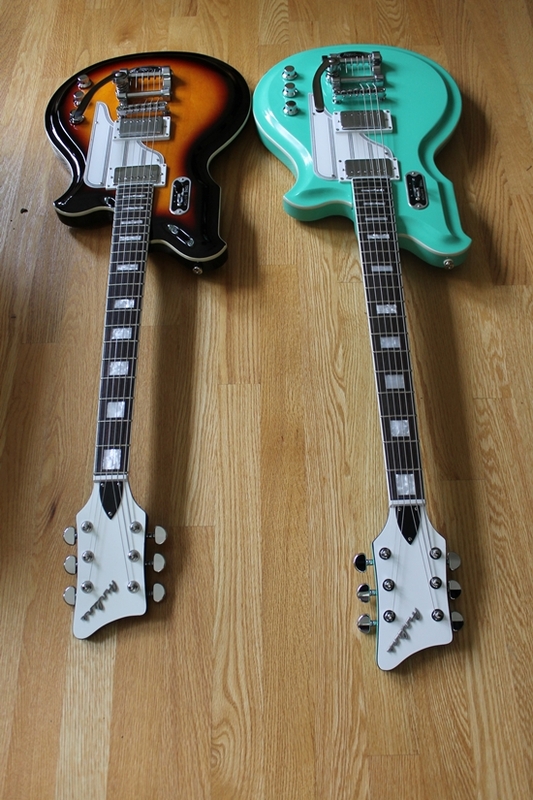 For comparison, here is the Baritone model next to the standard 24 3/4″ scale guitar. You can see the bridge is further back on the body and the overall neck length is longer, but the body size/shape is identical. 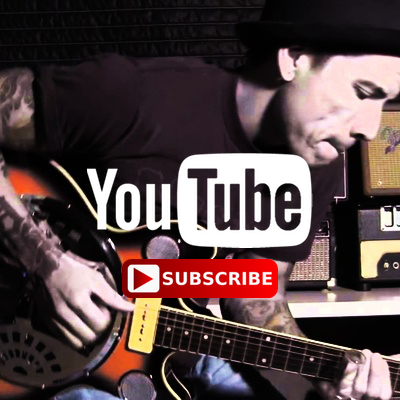 The Baritone model is extremely well balanced and will add a new dimension to your playing, tuned B-B. Enjoy! Any other colors besides Surf Green? 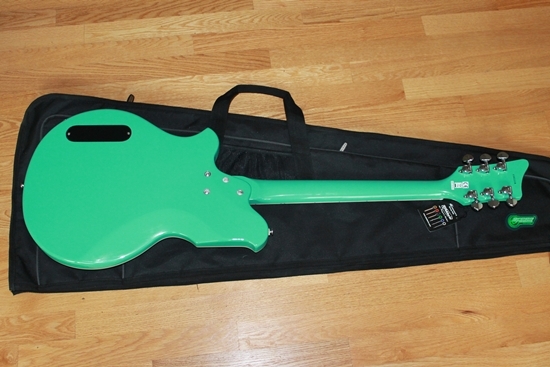 Does it come in Black or Sunburst, or only the green as shown? This was a custom order, so we only made 8 stop tail, 8 bigsby. We can only make an 8 minimum in ONE color. Sorry! Left handed? 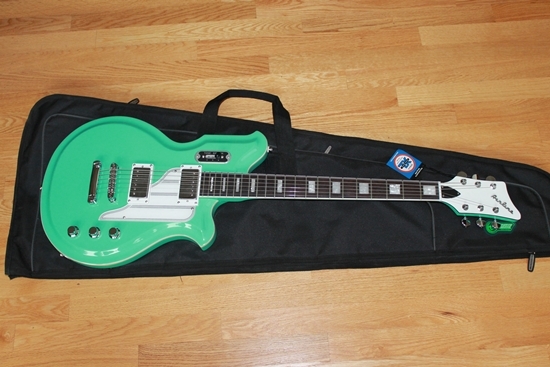 The only baritone I can find as a lefty is the Sidejack. The Map is WAY more cool. WEll I have to say that yes, the Map is much cooler than the Sidejack. 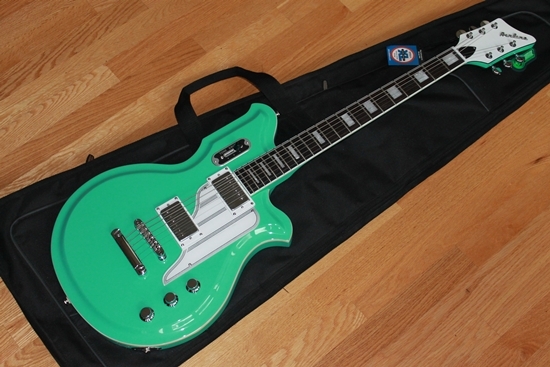 But I’d want it in black or sunburst. 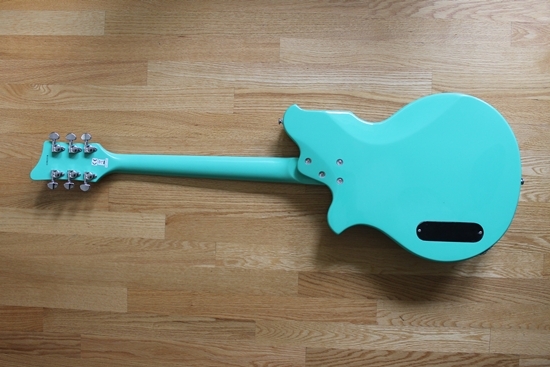 Maybe this will be a regular production guitar? 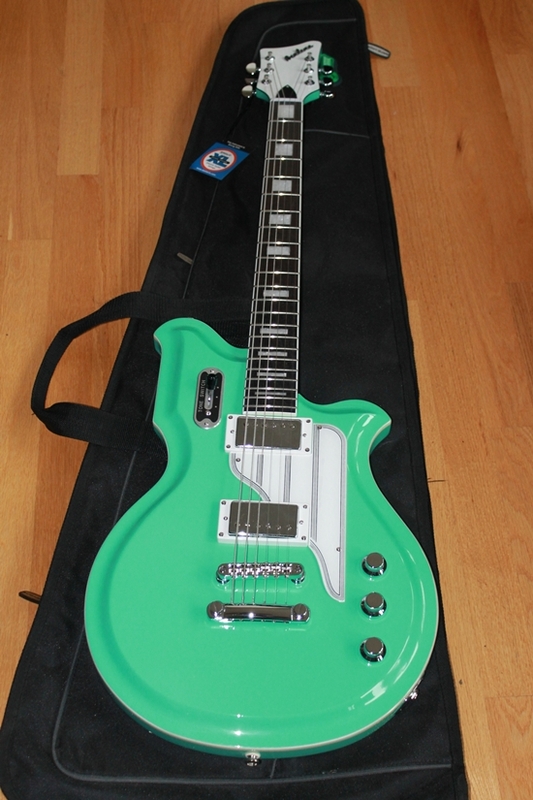 this guitar as shown, is perfect…..i will say no more! 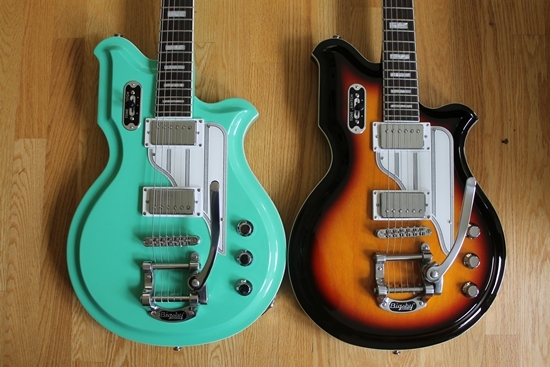 As a heavy fan, and proudly owner, of Airline guitars I’m really excited about the existance of new baritone models. 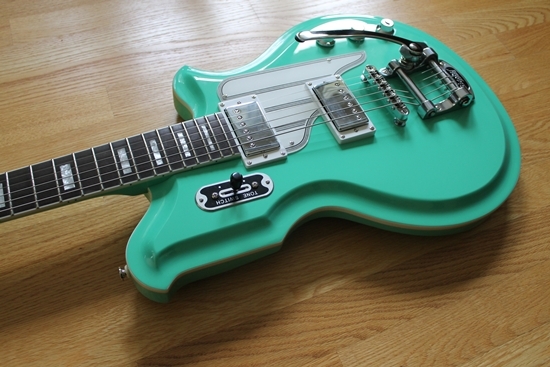 This MAP baritone in Surf Green looks beautiful, but in that sunburst option it’ll be SO GREAT!! 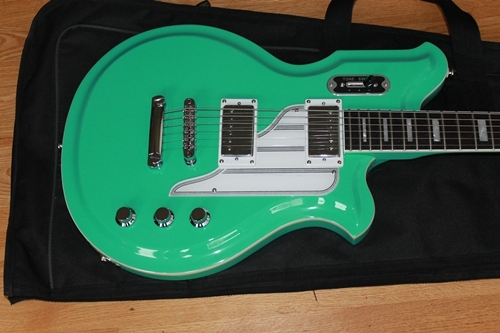 Do you have future plans for new baritone models or new runs of this one in other colours? Many thanks. I’m really interested ! What is the price for a shipping to France (EU) and additional taxes ? Any left? 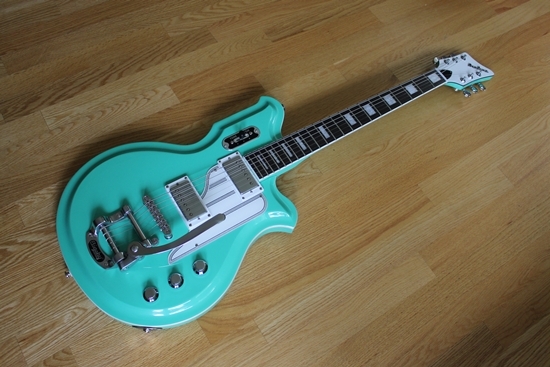 This is a must-have item for Shice Squad – the only Eastwood baritone we don’t have yet (preferably stop tail). i own one of these. the color is not common so its an eye catcher. 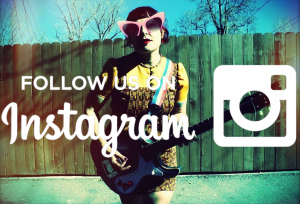 played with a vintage fender or vox amp with spring reverb it has an exciting vibe. 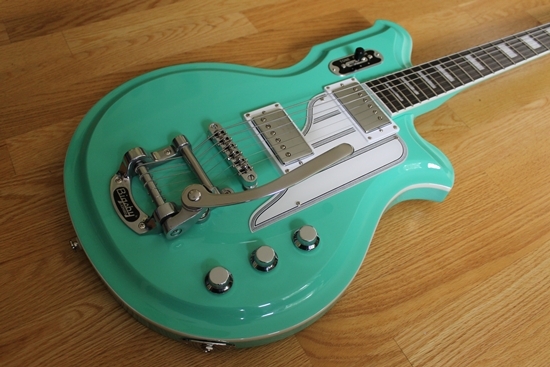 i’ve had no problems with tuning with the bigsby. arrived set up nicely with no buzzing which is common in baritones. i would purchase again with no regrets as the quality is there for the price point. Hello! If I ship to Brazil, it will need a HardCase, right? But, where I choose that I want one? 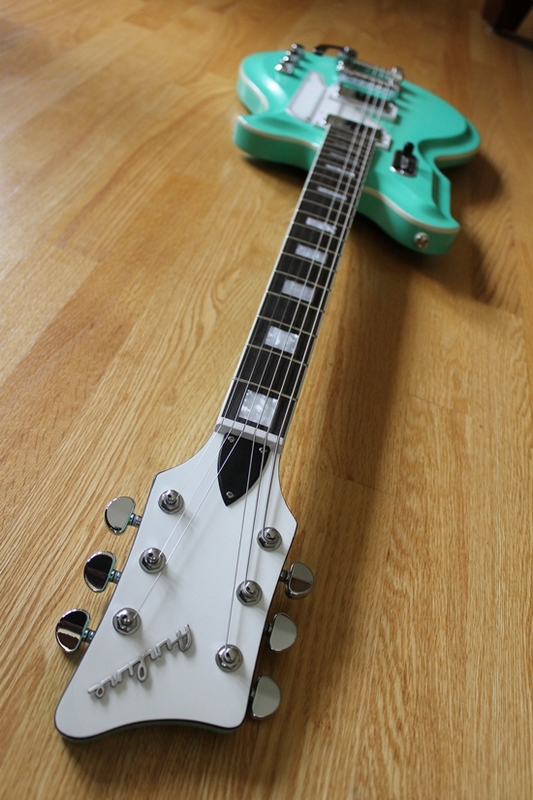 Do you have any of the seafoam DLX’s left? 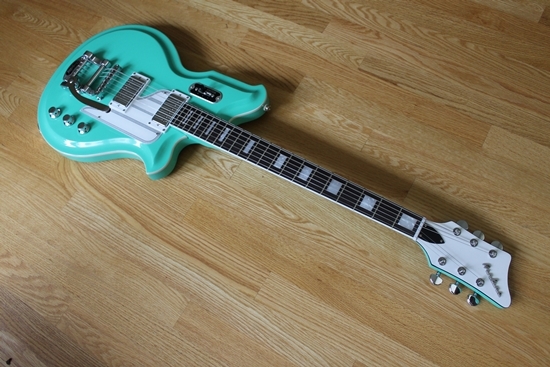 Is this guitar the same as Enon Kawatani’s ? 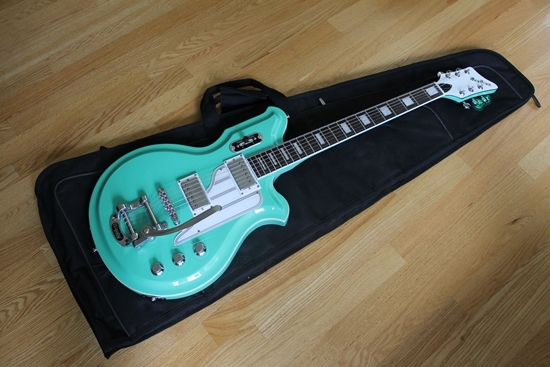 Enon Kawatani is a vocalist of a Japanese band “Gesu no Kiwami Otome”, and he told in his interview that he got this guitar from Mr. Mike Robinson. At first, I didn’t care for the surf green either. “If only they made it in black,” I thought. But then reason hit me and I realized green was the way to go – the outrageous colour only complements the outrageous shape. Anyway, I’ve got the hard tail model and I couldn’t be happier with it. Fit and finish are top-notch and the playability is real smooth.